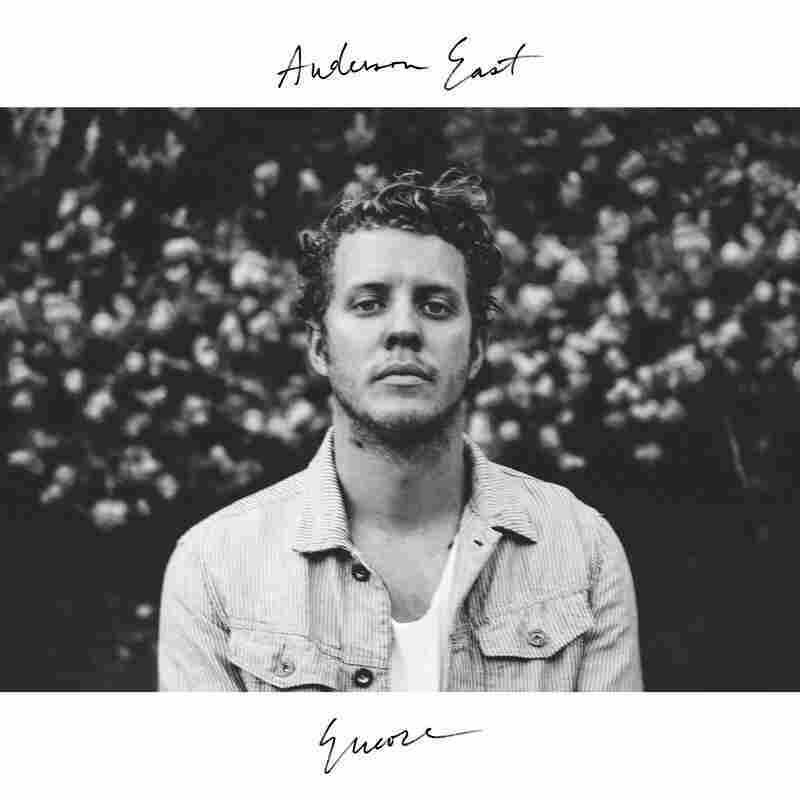 Review: Anderson East, 'Encore' With sophisticated song arrangements and dashing interpretations, the Nashville singer recognizes the importance of artfulness even to raw, Southern soul expression. To some people, rawness is the defining quality of a Southern soul sound. There's a perception that the music is, first and foremost, an eruption of unvarnished feeling that relies more on instinct than ingenuity or craftsmanship. But Anderson East, a perceptive record-maker and proven captivator of live crowds, recognizes how important artfulness is and has always been to soul-style expression, among black innovators and white acolytes alike. It's telling that the 29-year-old, Alabama-bred Nashville fixture describes himself as having an "analytical" ear. Having received a four-track recorder at age 13, he's experimented with tools for enhancing a performance's impact for more than half his life, a pursuit that led him to a recording industry program at Middle Tennessee State, then to engineering and producing projects by roots-leaning peers. On a presently out-of-print double album of his own, 2012's Flowers Of The Broken Hearted, East tried framing his own output in different ways. The red disc clothed his keening, contemplative crooning in piano-based pop-rock arrangements. On the white disc, he started feeling his way toward the slow simmer of Southern-accented, blue-eyed soul-pop. After that, he found a kindred spirit in producer Dave Cobb, who shared his obsession with studio gear suited to capturing vintage textures and vivid dynamics. They partnered on Delilah, an album that established East as a gravelly-voiced sensualist who wore his vulnerabilities on his sleeve. Now they've bested themselves with Encore, drawing inspiration from the sophistication of Donny Hathaway's compositions and arrangements, the grandness of Van Morrison's Caledonia Soul Orchestra and the dashing song interpretation of Joe Cocker. East spends many of the album's 11 tracks surrendering to the immediacy of feeling, but he deftly distinguishes differing shades of arousal, infatuation and devotion. He's suave and stubborn during "King For A Day," a song he co-wrote with Chris and Morgane Stapleton, celebrated members of he and Cobb's musical circle. "Even if your heart can't look my way, even if our love can't stay together," East insists, letting each drawled repetition of "can't" hang in the air for a beat before finishing the phrase, "I'd rather be king for a day than a fool forever." He transforms "Sorry You're Sick," a folk-blues number by Ted Hawkins, into a hopped-up, horn-accented boast of attentiveness, his vocal phrasing charged and convulsive. Where Willie Nelson originally conceived of the song "Somebody Pick Up My Pieces" as a deflated ballad, East makes it a wily testament to woundedness. During "Girlfriend," he plays the part of a teasing, taunting rival, riding the rhythmic churn of the groove with suave flexibility and talking back to the punchy horn and synthesizer licks. "All On My Mind," a stormy, modern soul number plucked from Ed Sheeran's catalog, tweaked by East and embellished with tense, theatrical strings, is an agitated declaration of desire. Leaping an octave for the chorus, he howls of "hangin' on" with a "white-knuckled grip." East connects his music's emotive elements to his quieter, reflective tendencies in the billowing, orchestrated number "House Is A Building." It's the closest he comes to philosophizing, contrasting the heady experience of companionship with the emptiness of material comfort for its own sake. The sentiment finds far more melancholy expression in the austere narrative "Cabinet Door," a widower's one-sided conversation with his departed wife. "You left one big house for this lonely man," East sighs. That's the song that closes the album, and by then, he's put his expressive range to skillful, satisfying use.